I would like to thank the Largent Team for making my home buying experience a pleasure. Especially Tera Lipski, She was extremely knowledgable on all aspects of my home buying process. Her tireless efforts searching for and helping me pursue the perfect house was crucially to me finding a dream home. She continously went the "extra mile" to accommodate my schedule and answer all my questions. Tera was the key asset in coordinating and implementing the proper personnel to complete all my inspections as well. She was able to clearly decipher and review the reports with me to the point that I had full understanding of all the material. Even after the purchase of my new home, the largent team has been there to assist me. I would absolutely use Tera again in the future for any realestate ventures and recommend her to any and all my friends and family. Tera Lipski was absolutely awesome from day one. She quickly figured out what I was looking for and found the perfect home! She knows her business and went out of her way to be available for questions. I want to thank our agents at the Largent Team- Ruth Angel and Tera Lipski for making buying a house easy. If you are looking for a house call the Largent Team. "Curt is one of our companies preferred agents for REO properties. He is always friendly and helpful when needing assistance. I enjoy working with Curt and his team in order to have the local experience and expertise. He is always willing to share information with the community and highlight current important topics on his radio station. All around great business partner." "I have worked with Curt Largent and his team in the real estate industry for over 7 years. Curt and his team are first class!! If there is ever an issue on a deal they will work it out guaranteed!! There communication and frequent updates are pertinent to having a smooth transaction!! 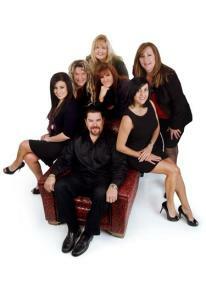 If you are looking for the most efficient team in the NorCal you definitely want to choose the Largent Team!!" "Curt is the ultimate professional who always gets the best deal for his clients."